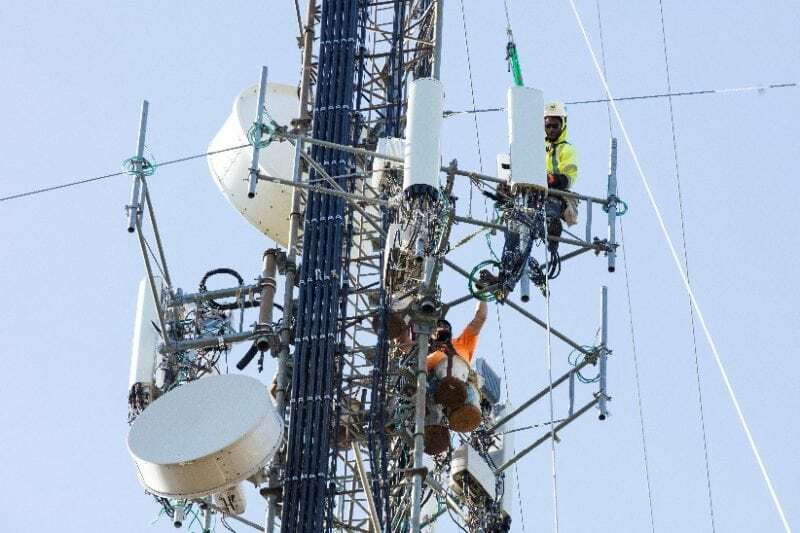 Sprint technicians installing 5G small cells. Photo: Sprint. NSR's Wireless Backhaul and 5G via Satellite 13th Edition report forecasts over $32 billion in revenue by 2028, with 5G supporting a third of the overall satellite backhaul market. According to the report, Mobile Wireless Backhaul is the largest opportunity in this space, as satcom becomes a mainstream solution and 5G opens opportunities for satellite to seamlessly integrate with the global telecom ecosystem. Trunking also appears to be re-born via lower capacity costs and slowdown in fiber expansion, while Hybrid Networks represent a long-term play for emerging Over-the-Top (OTT) content distribution models. The direct impact of 5G in satcom won't be seen before mid-2020s, but growth will be sizable, generating one of every three new dollars for backhaul capacity revenues through 2028. The ground segment has a key role to play in the integration of satcom into 5G, by responding to new performance requirements and making the solution transparent and easy to adopt for mobile operators. "The combination of competitively priced capacity with advanced ground segment makes satcom a relevant solution for MNOs continually seeking new sources of revenue and who are increasingly CAPEX-conscious and risk-averse," stated Lluc Palerm, NSR Senior Analyst and report author. "The transition to broadband is accelerating in areas like Latin America, where for the first time in 2018, 4G generated the highest share of traffic over satellite versus 2G and 3G." Join Via Satellite at the DC5G 2019 event in Pentagon City, Virginia (November 4-5). DC5G is the only 5G-connectivity event to focus on hosting high-level, executive-caliber, business-oriented conversations with public- and private-sector investors, infrastructure builders, municipal, state, and federal governments, and service carriers.